Give yourself permission to relax today…enjoying a glass of wine with us here at En’kanto. 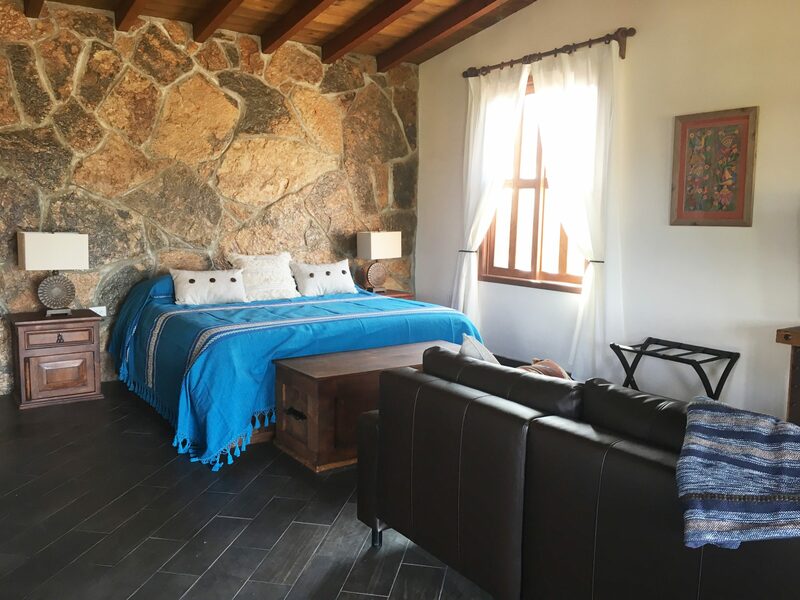 En’kanto is a charming vineyard BnB overlooking the scenic Valle de Guadalupe. Open for wine-tastings by reservation, or book your stay in the En’kanto Loft and Cabanas. Catch lunch and dinner on the weekends here with Master Butcher Juan Pablo Pinson at Al Forno Butcheria. Come play some bocce ball, take a stroll through the vineyards and orchard, take a nap in one of the hammocks and reeeeeelaaaxxxx. You know you need to. 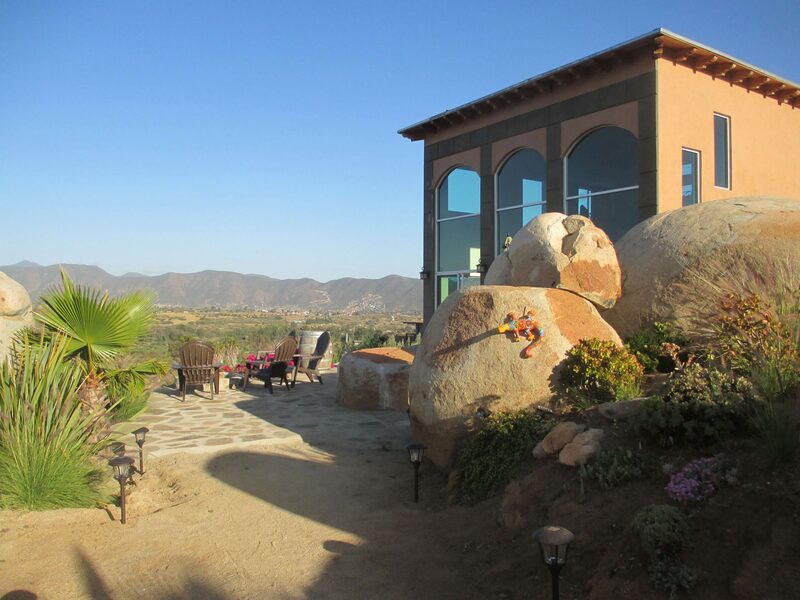 Two story casita with stunning views from its large private patio. The Loft sleeps 6 and has a full kitchenette. The Cabana on the Vineyard is a spacious King-sized suite with a soaking tub, seating area with sleeper sofa for two extra guests/children if needed, television, wine/coffee bar with mini fridge and private patio with chiminea, Adirondak chairs and a hammock. Just steps away from the vineyard and gorgeous views. Our artesenal wines are made from our own grapes, loving grown on our 10 hectare property in Valle de Guadalupe, Mexico. Come relax with us in one of our luxury Cabañas on the Vineyard or the Casita with Loft overlooking the valley. Master Butcher JP Pinson offers premium steaks and ribs at Butcheria Al Forno, located on our big deck under the trees. Enkanto was absolutely amazing !!!!!! I can't wait to come back again !!!! Enkanto was such a beautiful house on an amazing property !!! Everything was super clean and the house was completely stocked with everything you need to cook !!! Thanks so much again for a wonderful weekend !!!! Room is clean, really comfortable (perhaps best mattress ever), and thoughtful touches abound, have a fire in the outdoor fireplace, get a bottle of the Enkanto wine (first bottle on the host). Great communication. Good wifi and access to netflix, they even have a movie collection as well. Location is secluded, but not overly so. About 10 min drive back into the action. Beautiful spot, great views and I’ve heard great things about the restaurant on the Vineyard. My second time staying at Enkanto. I don’t think you could find a better spot in the entire valley. The location is superb. With views of the entire valley and a peaceful and serene atmosphere. The loft itself is a stunning feat of design with windows, windows and more windows. Can’t get enough of relaxing by the fire pit and gazing out at the vineyards and Sweeping views. The owners have done a wonderful job of creating a warm, inviting, super clean space to enjoy. In the spring the scent of citrus blossoms from their private orchard fill the air with a wonderful perfume. Book now! Don’t miss out!